My first daffodils came into flower last weekend, around 19th February. 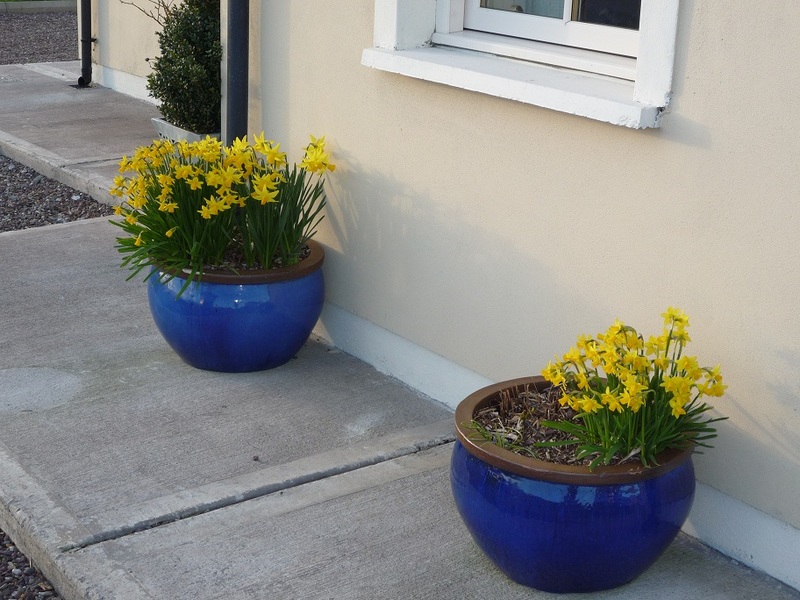 These were not the daffodils that I planted last autumn but older bulbs, in pots, which have been in a few years. Anyhow they’re in flower way earlier than last year thanks to the relatively warm February that we’ve had, and are a smashing splash of colour. The coming of the daffodils also prompted me to start planting my seeds for the forthcoming growing season. I am trying several new varieties of pepper (Lipstick) and tomato (Arctic Circle & Mexican Midget) this year – as usual, courtesy of my free seed choices as part of my Irish Seed Savers membership. So, my first peppers (sweet and chili), tomatoes, and spring onions went last weekend. 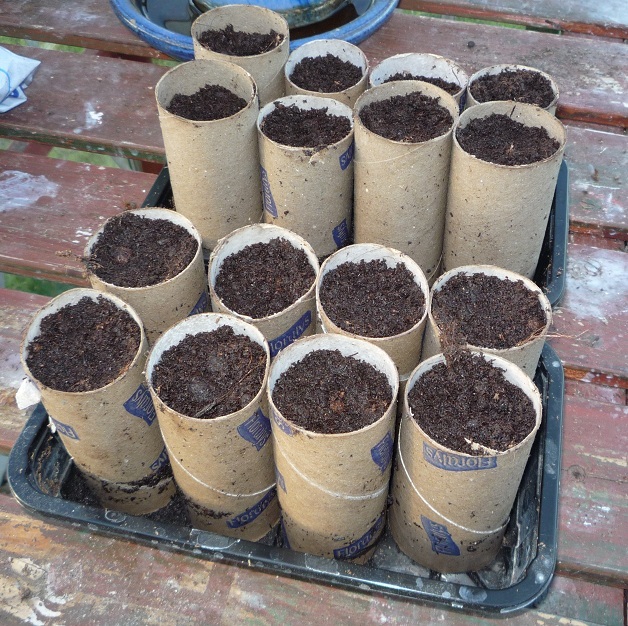 I also planted some onion (Hi Keeper), leek (Monstruoso Di Carentan), and parsnip (Gladiator F1) seeds – the latter in the toilet rolls holders that I’ve been collecting over the winter months. Anyone new to this blog may ask “Parsnips planted in toilet roll holders? !” – I do this as it means I can bring on the seedlings under glass (unheated greenhouse), and then transplant without disturbing their long tap root. I tried this for the first time in 2010, and it was a great success. The tomato and sweet pepper seeds will be germinated in my hot-press (airing cupboard) and then moved to windows sills inside the house for growing on; once they are 10 or 15 centimetres high – in early April – they will be moved to my unheated greenhouse for hardening off, before final planting into organic grow bags in mid-April. My onion and leek seeds all go into module trays, under plastic, on window sills. Elsewhere my first and second early potatoes are chitting nicely, and I’ve started preparing the raised beds into which they will be planted – this means digging over and adding my own compost that has been maturing nicely in my compost bins since last year.